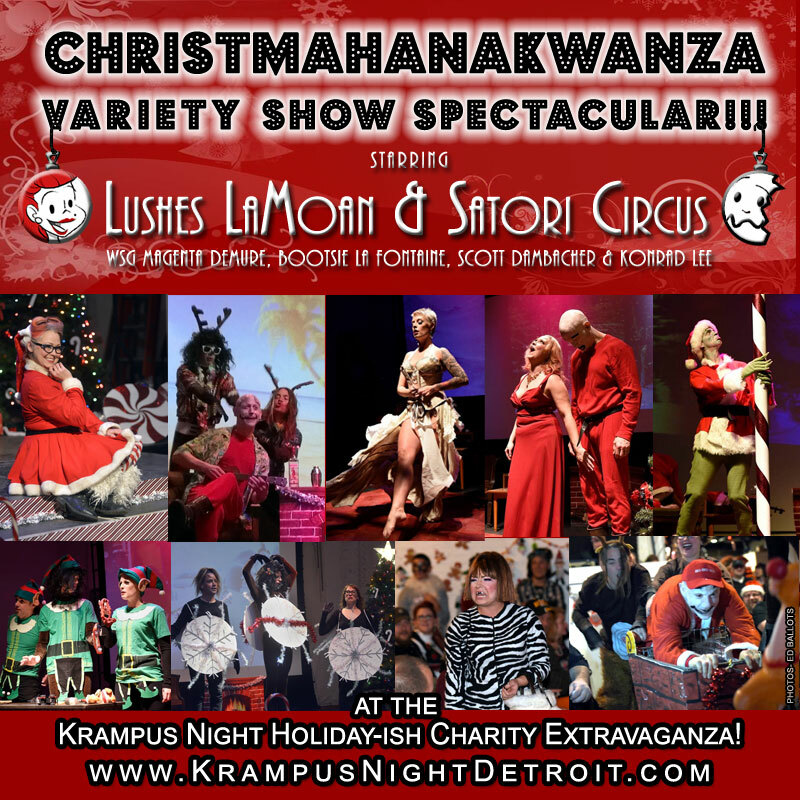 Whether you’ve been naughty or nice, come see a little Miracle on Milwaukee Street starring Satori Circus, Lushes LaMoan, Magenta Demure, Bootsie La Fontaine, Scott Dambacher and featuring Konrad Lee, lounge singer extraordinaire! This X-Mas X-Travaganza is one hilariously disastrous night of amazingly bad lip syncing, barely rehearsed skits and impromptu shenanigans loosely based on your favorite holiday television and film classics! Do not miss this Jingle Jamboree or Yule be sorry!! !